[Periander] sent an agent to Thrasybulus [the tyrant of Miletus] to ask what was the safest kind of government for him to establish, which would allow him to manage the state best. Thrasybulus took the man sent by Periander out of the city and into a field where there were crops growing. As he walked through the gain, he kept questioning the messenger and getting him to repeat over and over again what he had come from Corinth to ask. 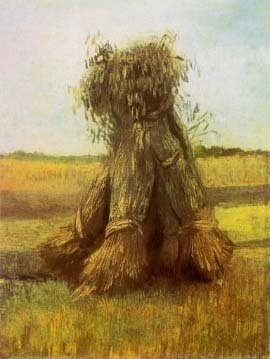 Meanwhile, every time he saw an ear of grain standing higher than the rest, he broke it off and threw it away, and he went on doing this until he had destroyed the choicest, tallest stems in the crop. After this walk across the field, Thrasybulus sent Periander's man back home, without having offered him any advice. – Herodotus. Histories, V.